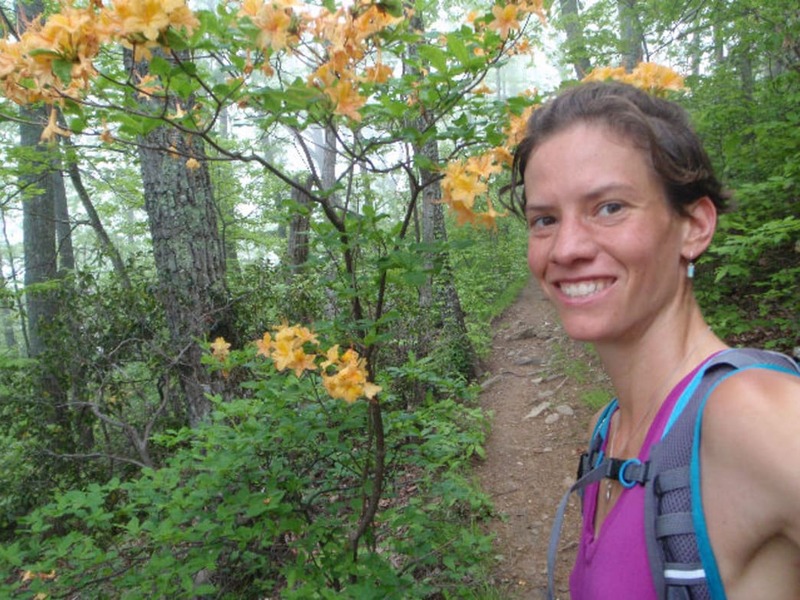 In the past decade, Jennifer Pharr Davis has clocked more miles in the Appalachian and Blue Ridge Mountains than most people do in their lifetimes. She’s often moving at a high rate of speed. An ‘endurance hiker,’ Pharr Davis holds the record for fastest thru-hike of the Appalachian Trail, completing the 2,185 mile journey in an incredible 46 days, but she also finds joy in encouraging anyone to get outside on any trail no matter the pace or place. Davis hiked the Appalachian Trail solo for the first time in 2005 after graduating from college. She later transformed her trail journal into a really captivating, down-to-earth, and at times, totally shocking book called Becoming Odyssa: Epic Adventures on the Appalachian Trail. After completing the AT, Pharr Davis went on to hike the Pacific Crest Trail (a 2,663-mile route which begins in the desert near Mexico and follows the Cascade and Sierra Nevada mountain ranges through California, Oregon, and Washington), and she's even completed long-distance hikes in Africa, Australia, South America and Europe. 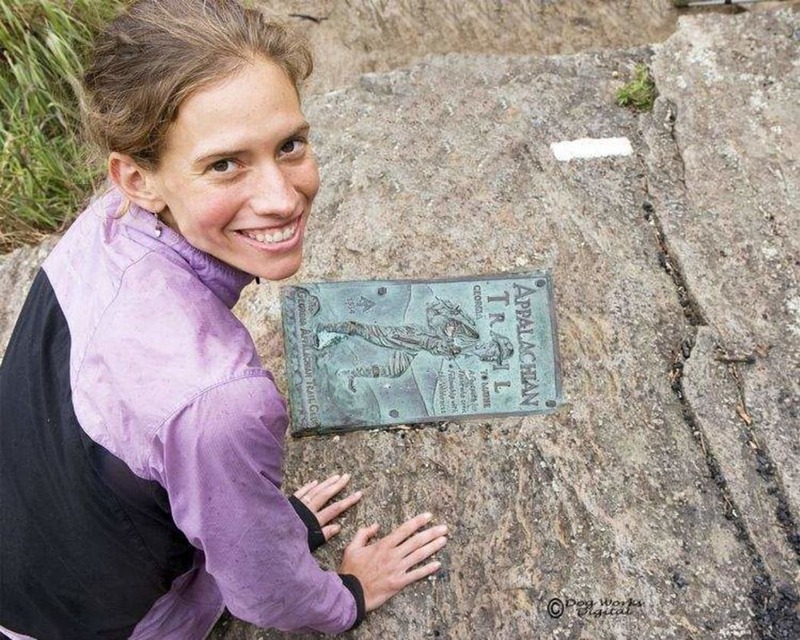 A second Appalachian Trail hike in 2008 earned Pharr Davis the title of fastest woman completing the trail on a “supported” hike (meaning she wasn’t carrying a pack). Logging 30 to 40 miles a day and sometimes sleeping only a few hours a night, she was able to cover the 2,175 miles in just 57 days, 8 hours and 35 minutes. She topped that record in 2011, becoming the overall record holder for both men and women, the first woman to hold that title. On that attempt, she completed the trail in 46 days, averaging 47 miles a day, with support from AT and Pacific Crest Trail speed record holder David Horton, Warren Doyle, and her husband, Brew Davis. In 2012, Pharr Davis was a nominee for National Geographic’s Top Adventurer of the Year. She followed up on her first book with Called Again_ _about her second record-breaking hike. She’s also the author of several books about hiking in the Asheville Area, including Five-Star Trails: Asheville: Your Guide to the Area's Most Beautiful Hikes and Best Easy Day Hikes Charlotte. 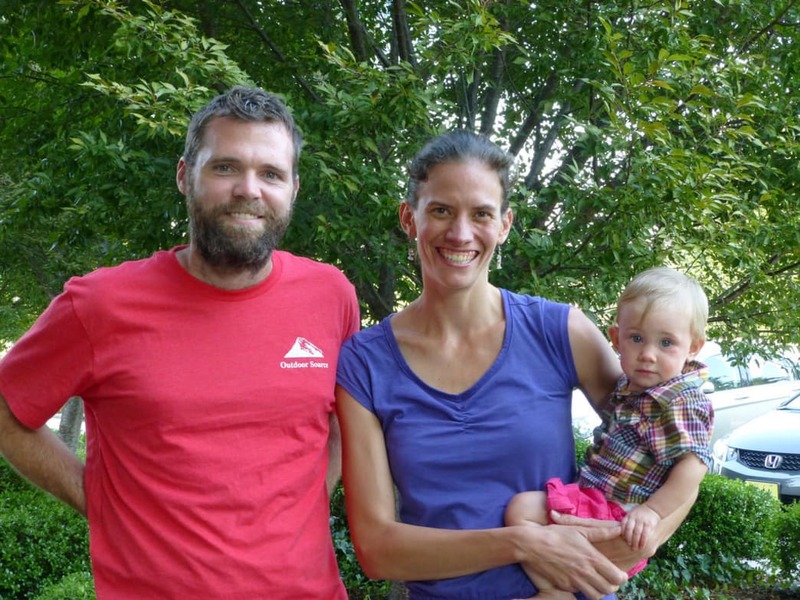 Davis has been sponsored on her treks by leading outdoor brands like Deuter, Subaru and Vasque. Early spring in the Blue Ridge. It could be pleasant at lower elevations, but snowing higher up. What advice do you have for those getting out this time of year? It’s a great time to hike, but you never know what you’re going to get. It could be mild in Asheville, but when you get to higher elevations, the next thing you know, you’re in inclement weather. I’d advise people to wear layers (wool or fleece is always a good base) and always bring rain protection, a hat, and gloves. What should hikers expect to see this time of year? It’s different every year. This year, everything is going to be late. In April, we’ll get the flame azalea and mountain laurel. Rhododendron comes out in June. One thing that’s unique to the Smokies is the synchronous fireflies. They migrate each year, but it’s a good bet that you’ll see them in the Smokies in early June. You have a little one now. What family-friendly hikes do you recommend? 1. The Visitor Center at the Blue Ridge Parkway. There’s an easy, fun TRACK trail next to it that gives kids a scavenger hunt of things to look for in the woods, plus there are interactive exhibits inside. 2. Holmes Educational State Forest. It’s located between Brevard and Hendersonville. It’s a short circuit with ‘talking trees’: recorded messages located throughout the trail that tell you about the area’s biodiversity. It’s really engaging. 3. The Carl Sandburg Home, National Park. Kids love the goat barn and there are some easy, short trails and great places to picnic. 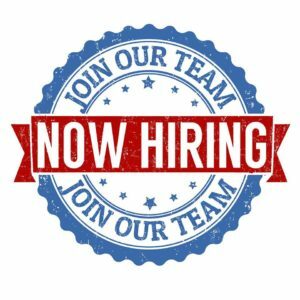 After your big accomplishments on the AT, what’s next for you? We’re trying to hike in all 50 states together as a family. We’ve done 30 states so far. 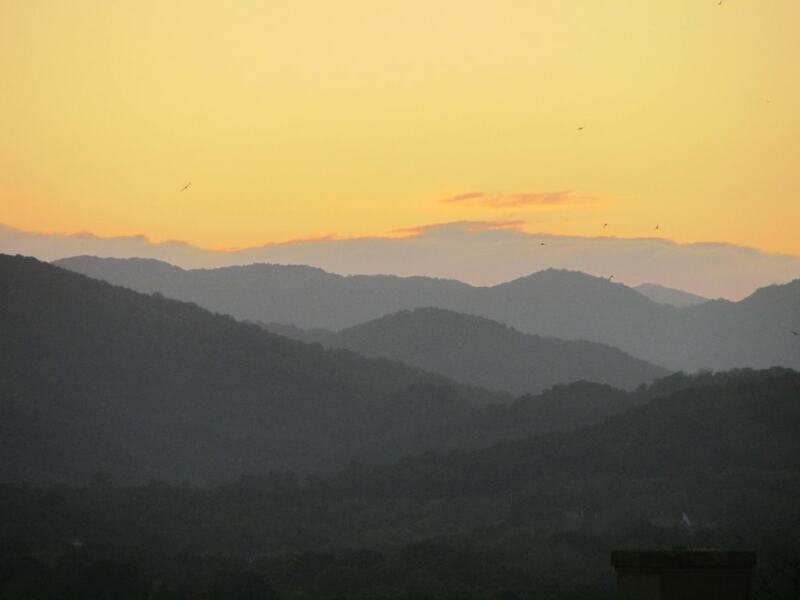 For more information on Jennifer Pharr Davis and her company, check out [Blue Ridge Hiking Company](blueridgehikingco.com). Written by Joanne O'Sullivan for RootsRated.